Create the most delicious meals with this classic 12" Seasoned Cast Iron Skillet. The comfort grip handle ensures easy lifting and additional control. Dual pour spouts are added for convenience. Seasoned with Camp Chef's "True Seasoned Finish" this skillet has a natural surface that is ready to use out of the box. 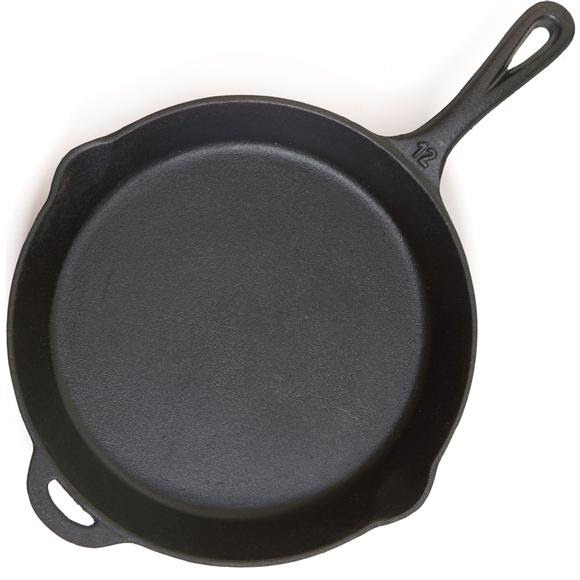 Create the most delicious meals with this classic 12" Seasoned Cast Iron Skillet. The comfort grip handle ensures easy lifting and additional control. Dual pour spouts are added for convenience. Seasoned with Camp Chef&apos;s "True Seasoned Finish" this skillet has a natural surface that is ready to use out of the box.